This story is set early in the school year, when half the children were four and half were five. The week before, they created holes in the sand and filled them with water, marveling at the way the water slowly disappeared. The holes became trenches, and the trenches became “the James River,” which is the river that flows through the city of Richmond. Their work was rich, deep, and collaborative. 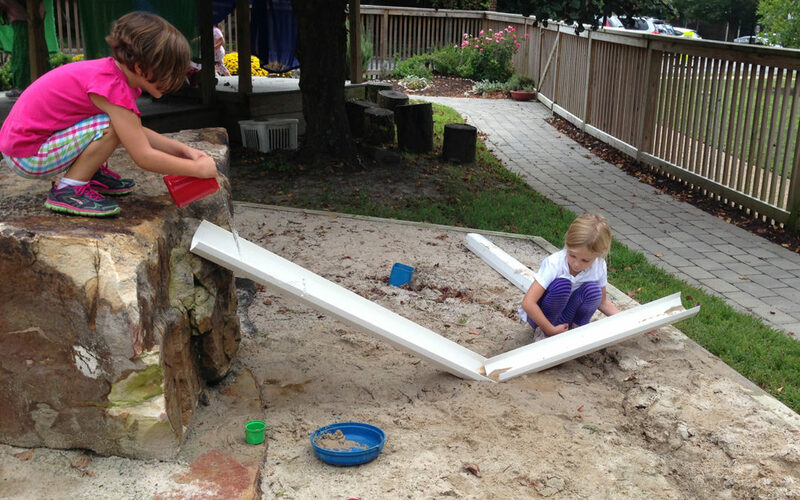 Hoping to encourage the children to sustain interest in exploring the ideas of flow and gravity, we offered three and four-foot lengths of gutter along with the sand and water. When we offer such provocations, we often simply put them in the environment and then observe what, if anything, the children do. 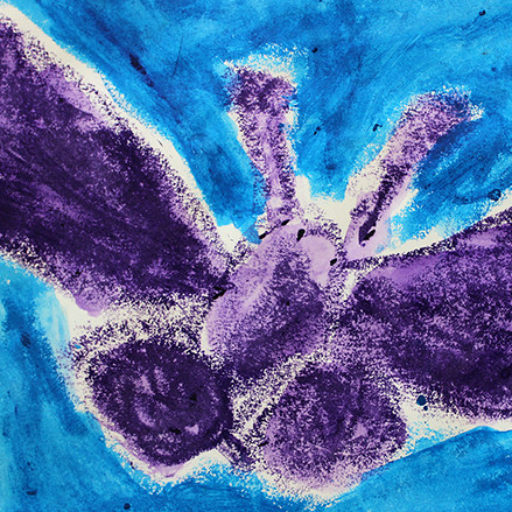 Those initial encounters between children and materials can tell us much about the children’s interests, their thinking, and, sometimes, about the children themselves. The girls noticed the gutters immediately, and they re-entered the realm of purposeful, collaborative work that we saw with the James River project. What follows is a sequence of photographs that illustrate the children’s process with water ramps. Interest…and the group…grows. The children accommodate all interested parties. Note the girls’ expressions as they watch the flow of the water. The children add gutters end to end, changing their goals continuously, bidding the water to flow onto the grass, then the sidewalk, and then the dirt. A persistent problem the children faced was that the water escaped through cracks at the junctures. At one point they solved the problem inadvertently, by inserting the first gutter inside the lip of the second one. But it seems that did not make sense to them, because although the water did not leak out when the edge of the higher gutter was inside that of the lower one, they returned to their first and sustained theory…that the second gutter, I suppose because it was second, must go inside the lip of the first. And so, the water continued to leak out. Some of the children realized that the water would flow only downhill. But not everyone. At one point, when the path of the water ramps went downhill and then back uphill, A.M. declared, “It can’t go up. It’s not strong enough to go up!”, meaning, I think, that there would have to be more force behind the movement of the water to make it go uphill. A. proves her point, below. The children continued to experiment with different formations until it was time to leave the Outdoor Classroom. I think you can get a sense of the energy and pace of the children’s investigation in the video clip, below. The girls continued to create The James River throughout the year, with increasing attention to organization and purpose, increasingly sophisticated negotiation and regulating language, and more and more facility with collaboration.